Born and raised in Dunfermline, Fife, Pete is now based in Perthshire, not far from the birth places of Niel Gow and Robert Mackintosh. He has performed and recorded with many notable musicians including Dougie MacLean, Rod Paterson, John Watt, Tich Frier, Jim Malcolm and the rock band Nazareth. In addition to private instruction, he is a tutor on the Scottish Music course at the Royal Scottish Academy Of Music & Drama in Glasgow. In recent years Pete has presented workshops and master classes at Edinburgh's annual ‘Fiddle’ event, Stirling University Summer School, Celtic Connections, Common Ground and at fiddle schools throughout Scotland and beyond. 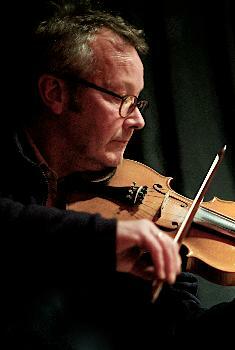 He has twice been on the adjudication panel at the annual Glenfiddich Fiddle competition at Blair Castle, Perthshire. 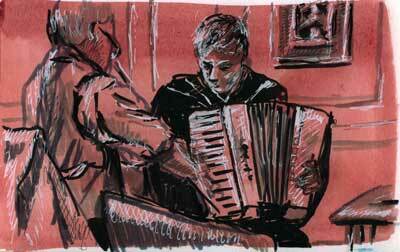 Gregor started playing moothie at the age of 6 encouraged by his father who was a great mouth organ player. It was during childhood visits to Butterstone, Dunkeld where his fathers family of eleven siblings got together and played fiddles, moothies, melodeons and sang the old Scots songs that Gregor progressed to melodeon. Around this time, a mystery bus trip to Perth with his father ended at Wilkies music shop and the purchase of a piano accordion. Six years of lessons ensued with William & Marianne Campbell's Accordion School and eventually a place in the Campbell Accordion Orchestra. 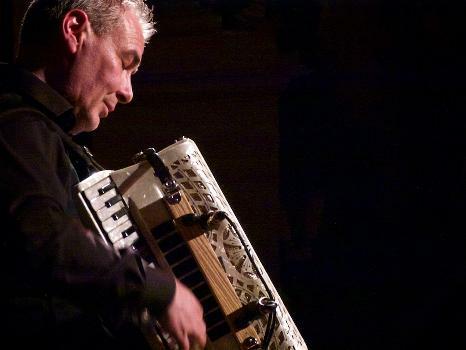 Playing his first gig at the age of 14, Gregor has worked with many bands including: Blackeyed Biddy, Cantychiels, Clan Terra, Ceilidh Minogue and Rusty Nail. He played with the Scottish Show Shehallion that opened the new Clyde Auditorium and has toured all over from Azerbaijan to Ecclefechan.